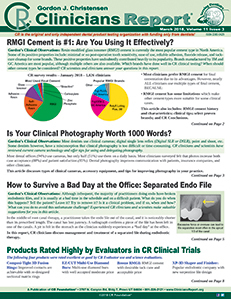 RMGI Cement is #1: Are You Using It Effectively? Is Your Clinical Photography Worth 1000 Words? • Why do files separate?